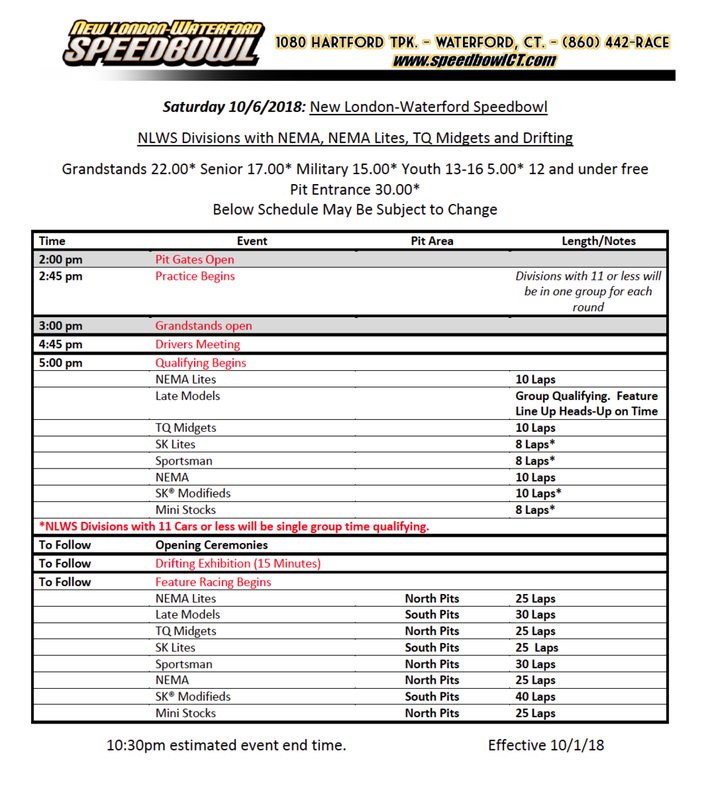 This Friday, October 5th, 2018, the Waterford Speedbowl will be offering a paid practice to all ATQMRA competitors from 3:00 to 7:00 pm. The entry fee for the practice will be $50 per car. A full day schedule for Saturday, October 6th, 2018 will be released in the coming days. For more information, please visit www.speedbowlct.com.